Games, get your games! Fall games season (or as I like to call it: Novembergeddon) is starting up and we’ve got some great games to share from it. I’ve been following Wandersong and Pig Eat Ball for what feels like forever but I also want to talk about Depth of Extinction this week, as it’s a game I just found out about recently. Read on for more details about some wholesome fun, some gross fun, and some classic fun. I don’t know about you, but 2018 has been a stressful year for me. Well 2018, 17, and 16 have all been stressful but the point I’m trying to make is the same: I’ve really fallen for cozy games that can help me feel like things aren’t all bad. This is where Wandersong burst into my life like a ray of sunshine mixed with the Kool-aid man. As far as I can tell literally nothing about Wandersong is less than maximally charming and that’s the balm that’s soothing my 2018 anxieties. 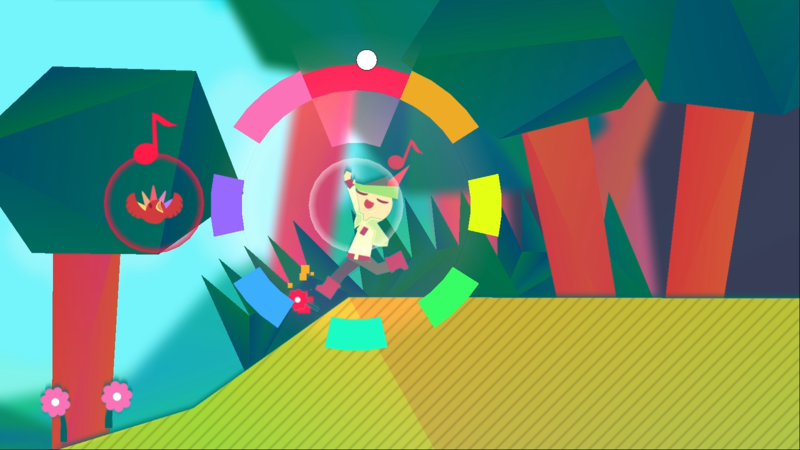 Wandersong is the tale of a bard who roams the countryside and solves all of their problems by singing. Someone’s stressed? Sing to them. Need to navigate some platforms? Sing to them. Are the spirits in the cemetery getting all angsty? You guessed it: Sing to them. It’s a really wholesome way to manage conflict and create an interaction system that leaves everything better than you found it. It’s not just the gameplay loops that feed into this design of coziness either; the visual art is reminiscent of construction paper projects you may have built in elementary school, and the soundtrack could fit into a sunday afternoon under a blanket. I’m always impressed by projects that find a specific theme and dedicate themselves wholly to it and Wandersong absolutely delivers in this regard. Now it’s time to take a complete 180 from Wandersong’s wholesome singing adventure to talk about possibly the grossest game of 2018. Pig Eat Ball is the newest project from Mommy’s Best Games -- the team that came to define the Xbox Live Indie Games service back in the day-- and like their other games it plays incredibly but looks…. hauntingly nasty. So Pig Eat Ball is a game about being a pig princess who eats things and then violently pukes them out all over their enemies, obstacles, and friends. You’re also in space for some reason? Anyway, if you can get through your initial reaction of looking at what amounts to a moving Garbage Pail Kid drawing, it starts to grow on you. Or at least it grew on me. By the end of my time with Pig Eat Ball I had bought into this game’s universe and aesthetics to the point that I became charmed by how deliberately grody it was. Yes I was a weird flying barfing pig, but I also kind of loved it? I understand that Pig Eat Ball is kind of a hard sell but there’s something really great beneath the layers of puke. It won’t be for everyone but if you can find it in yourself to love a game this nasty you’re in for a great time. I love some chunky pixels. If you search back through the blog I’ve probably written the phrase “chunk pixels” at least a dozen times to refer to a game’s art style. Well Depth of Extinction takes those chunky pixels and cranks them all the way up. 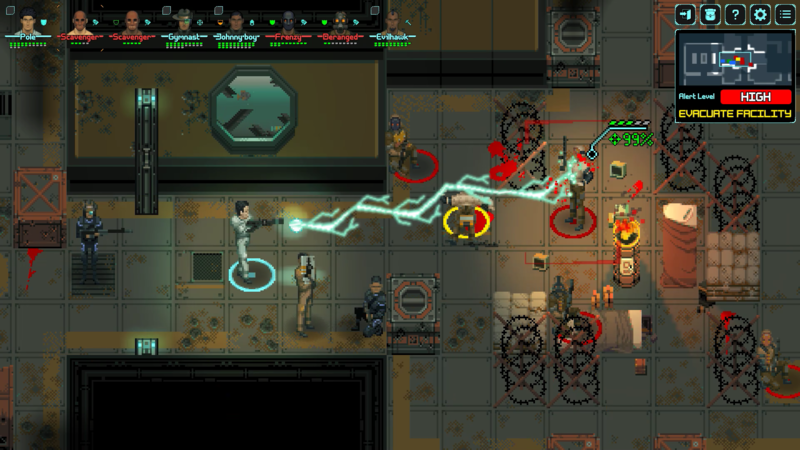 There are pixelated soldiers, pixelated mechs, and pixelated submarines for you to dive into. Mechanically, Depth of Extinction is a sort of strategy RPG along the lines of XCOM with all of the trappings that entails. You’re in control of a squad of units made up of different classes while you fend off rival squads of enemies in a variety of different arenas. There’s not a lot here that is new, but it’s a really great take on one of gaming’s oldest genres. The devs are are really responsive to community feedback on their page and have put out detailed updates so I’m excited to see what becomes of an already promising project. What have you been playing this week. Let us know in the comments below.